Indeterminate. Regular leaf. 85 days. Gorgeous, pink and lime green striped fruits with swirls of light and dark rose interiors. 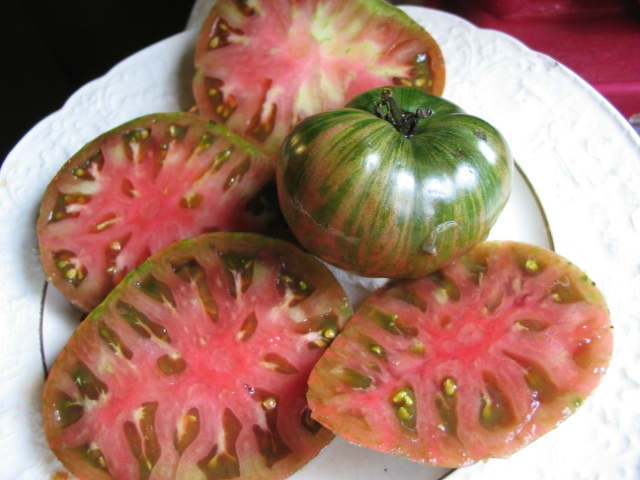 Not only is this one beautiful tomato; they are also very juicy and tasty. A real highlight in 2016. Picked many fruits here at the farm.